How do people interact with nature, and how does this impact the environment? How do societies transform nature? The environment consists of a complex set of human and natural systems of which people are an important, and sometimes dominant, element. Decisions made by individuals, institutions, governments, industries and other actors have the ability to impact the environment in both direct and indirect ways, with consequences for future generations. Understanding the costs and benefits of development and conservation, as well as the underlying values and ethical guidelines for good environmental practice are critical for informed environmental decision-making. It is critical, to both the present and future state of the environment, that dialogue and policy are precautionary, evidence-based, thoughtful and inclusive. The Environmental Studies program at Carleton University prepares students to be informed, skilled individuals who can participate effectively in the resolution of environmental problems and in the larger environmental debates critical to our future. The program is interdisciplinary and flexible, so that students can focus on the conservation of natural systems, natural resource management, environmental organizations and institutions, sustainable economies, environmental education and activism, or research. The Carleton Environmental Studies program offers you the chance to gain practical experience while you study. The third year of the program includes an Intensive Field Course in which you will receive specialized hands-on training in a variety of applications. fourth year of the Honours program. Elements of community service-learning are included in many of our courses. The co-operative education option gives you the chance to explore great learning opportunities; apply current best practices in your field of study; attempt challenging and interesting assignments to broaden your horizons; and experience ample networking opportunities with professionals working in your field of interest. At the end of your second year, you may be eligible to be placed in a paid position for four to twelve months. Past employers have included the Nature Conservancy of Canada, Rideau Valley Conservation Authority, Ecology Ottawa, Geological Survey of Canada, Natural Resources Canada, Environment Canada and many others. Access to specialized national collections of environmental information and of federal government departments, as well as numerous head offices of environmental non-governmental organizations and businesses. The Environmental Studies program at Carleton is a multidisciplinary program based on the social sciences, humanities and sciences. You will develop innovative interdisciplinary approaches to understanding the environment and human roles and responsibilities. You will also be encouraged to develop your own perspectives and approaches to environmental questions. You will be able to select courses in a wide range of disciplines, including environmental science, law, political science, economics, geography, philosophy and psychology, as well as enroll in the integrative core courses in Environmental Studies at each level. Individual programs may be enriched by selecting from a wide range of courses offered by other departments. a core of required courses, as well as a number of program electives. Human Impacts on the Environment. Note: If you are entering with 4 U/M science credits, you may request permission to substitute other first-year courses, including science courses, for the ISCI 1001 and ISCI 2000 courses. In addition to their core courses, students choosefrom a variety of third and fourth year courses with environmental themes (for example, in Political Science, Economics, Geography, Anthropology, Human Rights, Religion and other fields). uses case studies, action learning and research projects to give students competencies in analysis, synthesis and innovation for sustainable futures. We examine how social institutions respond to environmental concerns and how environmental priorities may be reflected in social, political and economic decision-making. The practicum offers valuable work experience in an external agency or organization involved with environmental issues. You also have the flexibility to create a different theme from the approved program elective courses list and from selected other courses that are uniquely appropriate to your goals. We also encourage field studies and field courses. Previous offerings have included those in ecological planning, sustainable watersheds and mountain ecology in the Himalayas. In planning your first-year program, you should consider the prerequisite first-year courses that are necessary for the advanced courses you wish to take later. Please note that you can receive departmental permission to enter a course in another department if you do not have all of the prerequisites. If you are pursuing an undergraduate degree in another discipline, you may choose to complete a minor in Environmental Studies. First-year BA students are strongly encouraged to include a First-year Seminar (FYSM) in their firstyear course load. Our First-year Seminars will get you away from the lecture hall and give you the chance, in a small class of no more than 30, to discuss and debate topics with your classmates and your professors. Although some FYSMs count as courses leading to a major, you do not have to choose a FYSM in your major discipline. By studying Environmental Studies, you will learn to use information from many sources as a basis for environmental decision-making. During this process, you will acquire a solid foundation in environmental knowledge, as well as develop the specialized communication skills needed to actively promote yourself and your expertise. Employment opportunities exist in all levels of government, the non-profit sector, education, private sector businesses, communications and consulting. Today our graduates are working to replace toxic substances, create new environmental laws, educate the next generation, assist in international development, grow organic food crops, conduct environmental assessments and create sustainable futures for us all. Graduates of the Honours program may also be eligible to go on to graduate studies in a variety of fields, including environmental studies, geography, planning, resource management, environmental assessment, urban studies, sociology, political science, public administration, philosophy and other fields and disciplines. If you think you may wish to pursue advanced studies, you are encouraged to investigate graduate programs early in order to ensure that your Environmental Studies program is tailored to meet requirements at the graduate level. 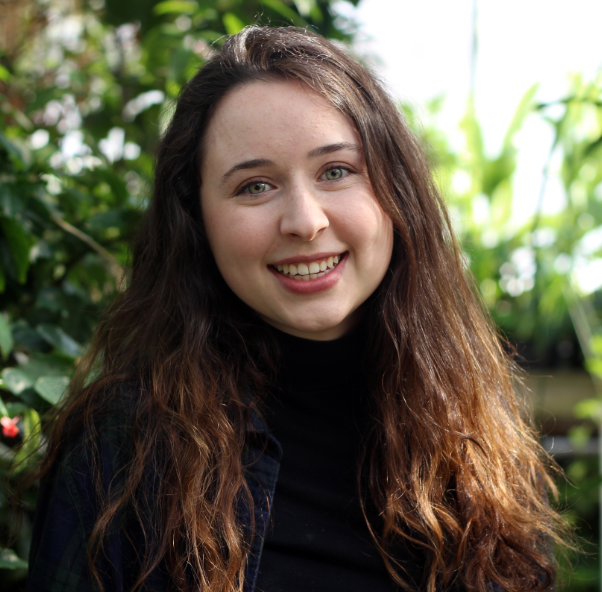 Carleton’s Environmental Studies program has expanded my knowledge of environmental processes, my passion for nature-care, and my personal capabilities in the field of environmental work. This program has provided me with opportunities not only to learn from knowledgeable peers and professors, but also to gain first-hand experience in field research. Some of my favourite classes have taken place while trekking through the forest, sitting in the back of a canoe, or hiking in a provincial park.